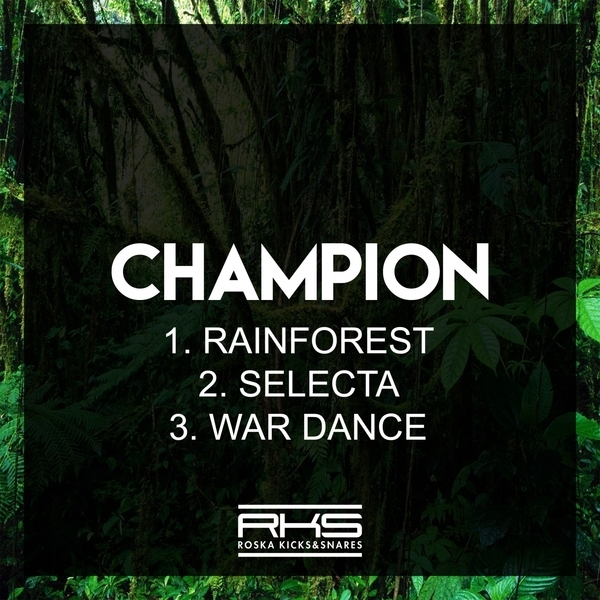 RKS continues it’s assault on the Funky scene with yet another killer release by game-changing producer, DJ Champion. His trademark basslines dominate all three productions here, switching from low rumbles to higher pitch modulations that imbue proceedings with that signature sound. The title track is the one - all foundation-crumbling bass notes and flexed percussion, keeping things impossibly heavy yet hot and tropical, the way it should be. Big big twelve.